The description says these guards have a safety clip on the front, but the photo shows a basic wire fitting that is the same on both front and back. Please could you confirm whether these have a safety clip on the front, like the SKS ones do? Thanks! Yes there is a safety clip, this attaches to the stay but is pictured without. 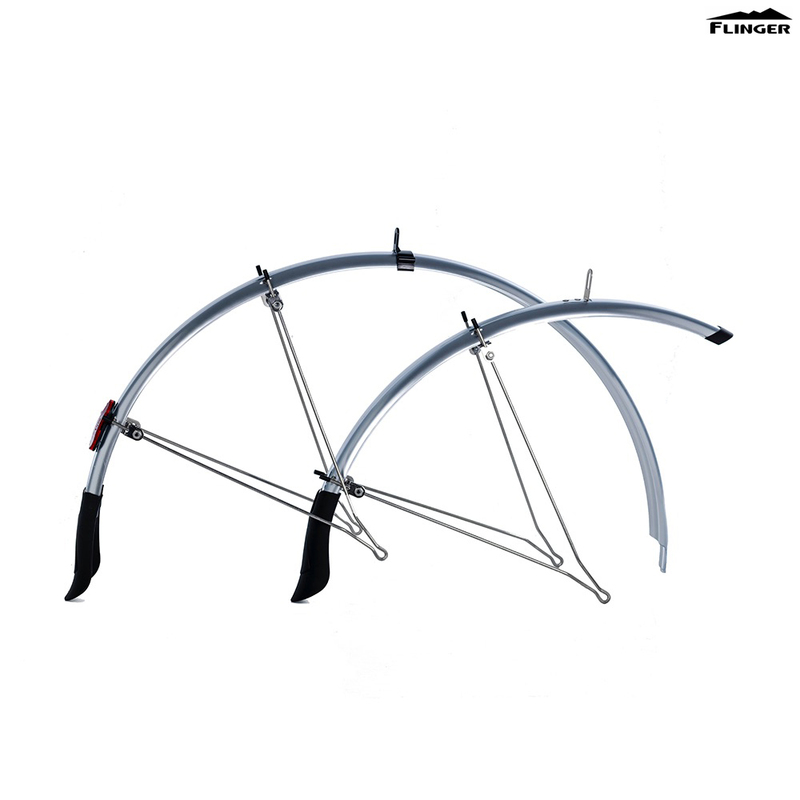 This mudguard is designed to the bolted into the chainstay bridge. Most mudguards fit in this manner, the only way around this is to use a P clip.